There aren’t many books about shared housing. That’s the reason I wrote Sharing Housing: A Guidebook for Finding and Keeping Good Housemates in the first place. This book will teach you the steps necessary to a housemate search and how to think about each step. This book by itself might be all you need. A fuller description and order form can be found here. You can also buy it on Amazon. 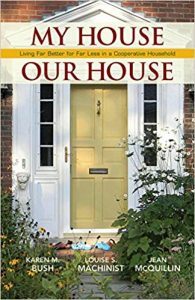 Here are three additional books about home sharing. How many friends have said, “When we retire we should live together.”? That was Karen, Jean and Louise until one of them said, “Why not now?” They went prospecting for houses and found the perfect one! This is the story of how they bought the house together, what agreements they made and how they lived together. They lived there for ten years. Two of them decided to retire to Florida and continue to share housing. Jean decided to stay near her grandchildren. Paperback and Kindle are available on Amazon. 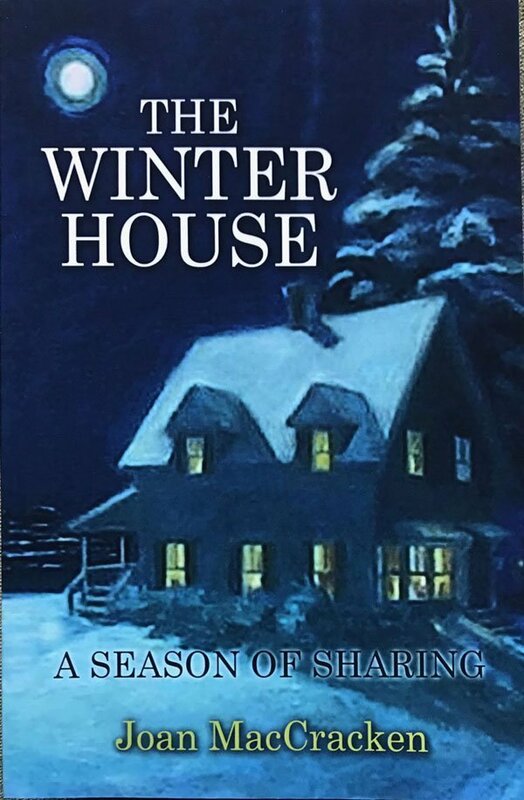 A lovely fictional account about four single women in their seventies who combine forces and share a house for the winter in a small town in Maine. We reviewed The Winter House here. You can get a copy from us (go to review) or find a copy through Amazon. 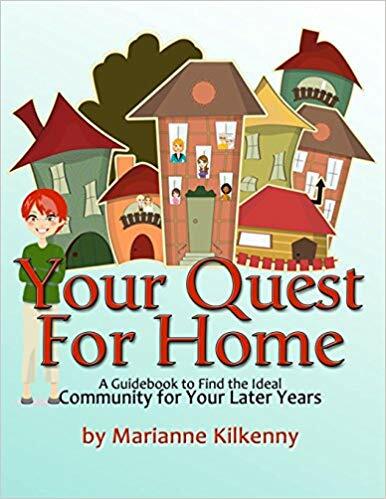 With a large format with lots of space for keeping notes and thoughts, Marianne Kilkenny’s workbook offers many different models and perspectives on how to plan for living in an ideal community. Also available on Amazon.